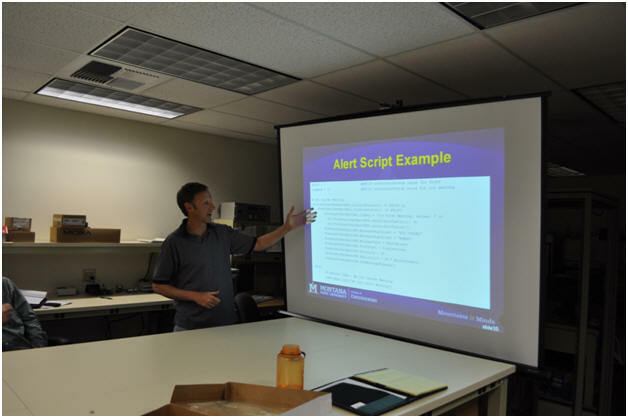 Here’s Dan presenting an alert script. Alert scripts are the key feature of the controller, allowing the automation of warnings such as “icy curve” or “high winds”. Here’s Kelvin listening to comments during the presentation. Mohammed and Ian are sitting in the background. Note that the meeting was held in Ian’s lab. 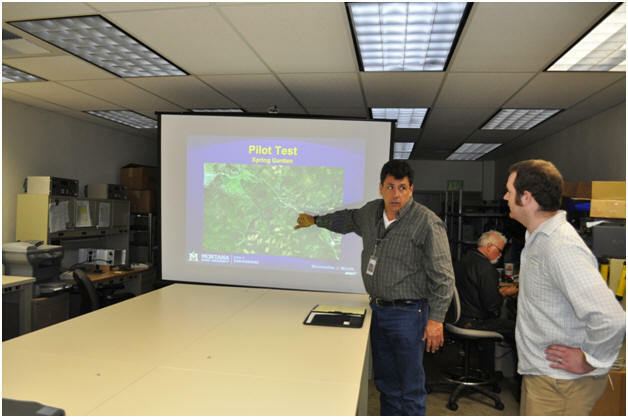 Here’s Ian discussing the Pilot Test site with Kelvin. 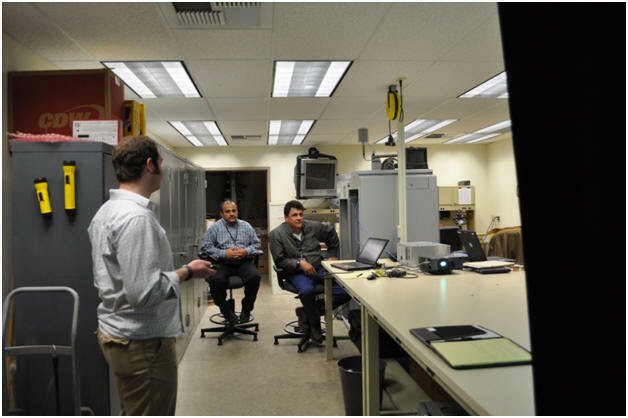 Look for a future update regarding a site visit to the pilot site – Spring Garden.